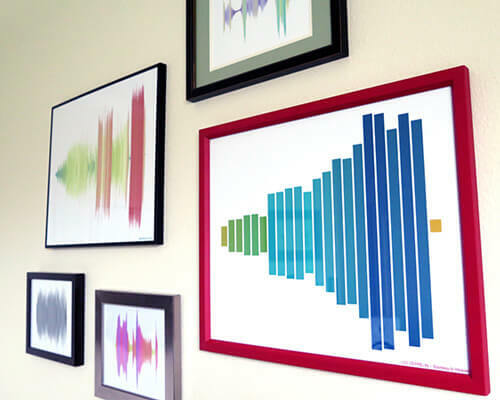 Turn your sounds and songs on beautiful wall art. Another great Christmas idea for musicians gifts ! You just need to upload your sound to their website, customise the colours, shapes an styles. Then, choose a print option. Results looks stunning and should really enhance a living space. Or in the studio ? Why not having a wall art of one of your greatest tracks next to your machines ?